Two major factors responsible for the growth of telecommunications industry are use of modern technology and market competition. One of the products of modern technologies is optical fibers, which are being used as a medium of data transmission instead of using coaxial or twisted pair cables. Optical fibers can carry a high volume of data and are easier to maintain and install. Uses of communication satellite’s make this telecommunications industry a booming industry. Fixed broadband continues to underpin the delivery of internet services to households and businesses. 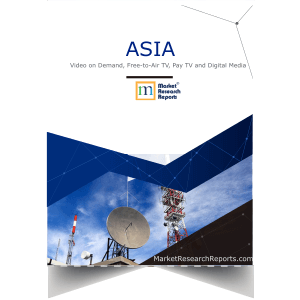 Fixed broadband penetration across the entire Asian region has increased from 7% in 2012 to 11% going into 2018. 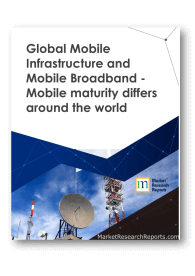 The use of mobile network has a crucial role behind the growth of an improved telecommunications industry. Leading companies are showing their interest to invest in this telecommunications industry. The term wireless communication encompasses various types of devices like handheld radios, cellular phones, PDA’s and wireless networking. Other examples of wireless technology are found in garage door openers, satellite television, computer mouse, keyboards, Maritime VHF, cordless and GPS phones. Short distance communication through wireless technology can be through blue-tooth communications or several thousand miles as with short wave radio communication. Often wireless communication are employed in cases where wires are impractical or impossible. This transmission of information over significant distances to communicate with electrical devices such as telegraphs, telephones and teletypes the use of radio and microwave communications as well as fiber optics and their associated electronics plus the use of satellites and the internet. During the period of 1990, the telecommunication industry showed a speedy growth in terms of investment and eventually increased the competition. The competition between the companies led to the decline of revenues. As the area of opportunity in telecommunications continues to shift from wires to wireless systems the need to access more and more electromagnetic spectrum becomes more important. With increasing wireless technology and smart phones the relevance of VAS (Value Added Services) has also amplified. Over the last couple of years, world telecommunication industry has been consolidating by allowing private organizations the opportunities to run their businesses with this industry. Existing government monopolies are now being privatized and consequently competition is developing. In this context, content remains a key competitive advantage, but the focus shifts from the traditional measurement of audience share to an assessment of consumer reach: getting the right content to the right consumer at the right price and with the right service model. Consumer innovation means putting the consumer at the heart of business strategy, personalizing the consumer experience and adopting a platform neutral approach— or, perhaps more accurately, an approach that embraces all platforms. 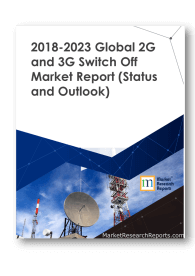 Growing demand for internet services integrated with mobile communications is a key driving force behind vendor investments in 3G technology. Emerging technologies like 3G and EDGE, compounded by the rising competition is driving IT spending in telecom industry upward. Major applications of organizations in telecom sector are towards security and defence, natural resources monitoring, infrastructure and civil engineering, earth science studies and monitoring, location-based services, and disaster management and emergency services. Although the economy is under recovery phase, and we are not completely out of the woods, the growth in the smartphone market maintains its impressive trend. This primarily reflects a shift in consumer preference toward feature-enhanced PDA devices from ordinary mobile handsets used primarily for voice telephony. Less than a decade ago, the telecom operators in the U.S., Western Europe, and Japan were upgrading their existing networks to high-speed 3G technologies. Now the world telecommunications industry is talking about the installation of the next-generation super-fast 4G technologies. World telecom industry is taking a crucial part of world economy. The total revenue earned from this industry is 3% of the gross world products and is aiming at attaining more revenues. According to statistical data revelations about 16.9% of the world population is having access to Internet. 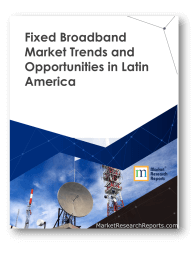 Industry analysts estimate only a 25% increase in mobile phone usage among the rural population of developing countries, which means abundant opportunities still remain for the telecom industry to capitalize on. Services providers plan to offer special low-priced schemes, e-commerce, mobile gaming, crop and weather alerts, e-learning and multi-lingual applications to capture these demographics. In this sense, it appears that telecom service providers will depend heavily on IT spending to attract the rural market. Global mobile statistics 2011 says that there are 5.3 billion mobile subscribers (that's 77 percent of the world population). The growth is led by China and India. The sale of mobile devices in 2010, rose with smart-phones showing the strongest growth. Top mobile network operator for subscribers and revenues is China Mobile. Over 300,000 mobile apps have been developed in three years. Apps have been downloaded 10.9 billion times. But demand for download mobile apps is expected to peak in 2013. The world telecommunications market is expected to rise at an 11-12% compound annual growth rate at the end of year 2011. The leading telecom companies like AT&T, Vodafone, Verizon, SBC Communications, Bell South and Qwest Communications are trying to take the advantage of this growth. These companies are working on telecommunication fields like broadband technologies, EDGE(Enhanced Data rates for Global Evolution) technologies, LAN-WAN inter networking, optical networking, voice over Internet protocol, wireless data service etc. 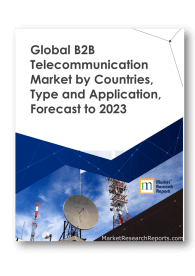 Key vendor in the telecommunications market include Ericsson, Huawei Technologies Co. Ltd., Nokia Siemens Networks, Alcatel-Lucent and ZTE. Nokia remains number one in both smart phones and mobile phones, but Android has become the top Operating System for new smart phones in 2011. The leading telecom players in the world are AT&T, China Mobile, Vodafone, Vodafone, Verizon Communications, Telefonica, Deutsche Telekom, America Movil, NTT Docomo, France Telecom, Nippon Telegraph and Telecom.